After Procter & Gamble aired its ad "The Talk" which addressed the conversation African Americans had to have with their children about racism, it received both praise and some pretty negative criticism. The National Review accused P&G of "identity-politics pandering". Police groups accused the ad of fanning hatred against the police. 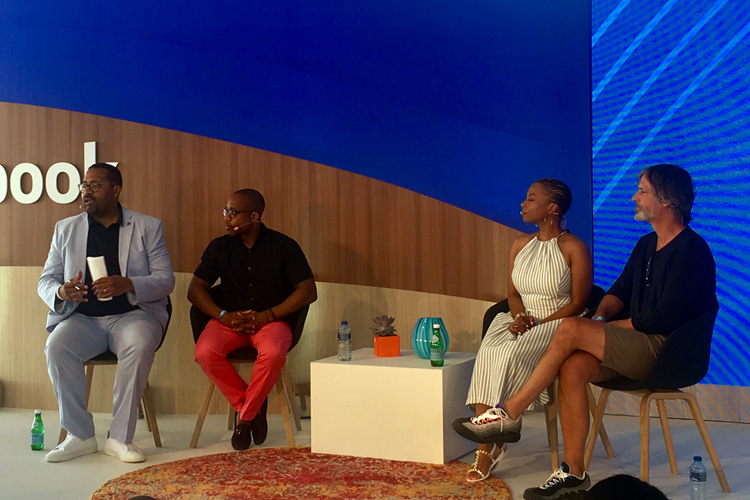 "One consumer called P&G and shouted at a customer representative about race-baiting," Teneshia Jackson, founder, of the Egami Group, a communications agency that specialises in purpose branding, said on a panel hosted by Facebook at Cannes Lions on 19 June. But the consumer goods giant stood by its ad, which aired in July last year, despite the sensitivity around the topic of race because the company wanted to use its advertising to spur conversation, even if not all of it was positive, Damon Jones, director, global company communications at P&G explained. "It was authentic, put together from consumer insights and from personal stories," Jones said. "Racism makes us all uncomfortable. Our goal wasn't to get to one universal piece of copy that everyone agrees with. We wanted to spark a conversation that would turn into dialogue, then understanding, and finally, change." P&G "leaned in" to the power it has as a marketer to spur conversations that lead to change, Jackson said. "The ad earned 1.9 billion media impressions and was downloaded 5,600 times so people could have a conversation around racial bias. America wanted to share and talk." David Rolfe, who worked on the ad as director of integrated production at BBDO, said that it was crafted to show the manifestation of "the talk" over time, how it evolved and how it's still happening. "We were keen to show that we as a nation have made progress, but not enough," Rolfe said. Despite the controversy, P&G counts the ad as a success, not just from a social perspective but from a branding view point because it made the umbrella brand feel more relevant, Jones explained. And while "The talk" was very US-centric, the topic of bias is universal, he said. "In India, our laundry brand Ariel was addressing gender bias by getting men to do laundry and our Olympic ad talked about levelling bias." As further proof that the intense praise and brickbats drawn by "The talk" has not made P&G gun-shy, its next ad in the US will be about black men, Jones added.